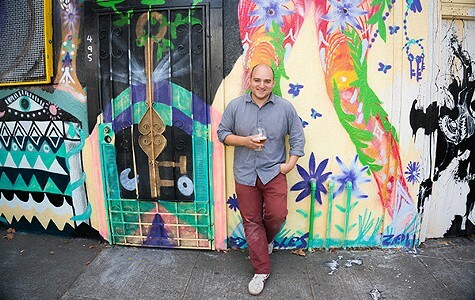 While Sam Gilbert, the proprietor of New Normal Brewing (4115 Telegraph Ave., Oakland), waited for the go-ahead to start construction on his new North Oakland brewery, he could have done what most business owners do when they're stuck in permit-waiting limbo: maybe try to sublease the building for a couple of months or, more likely, just let it sit idle. Gilbert went with a more counterintuitive option: For the past three months, while the New Normal's permit applications have been pending, he turned the space into an improvised gallery to showcase the work of local artists. In a series of collaborative, multiple-artist shows, the third and final of which ended last week, paintings were hung on walls that might eventually be blocked off by brewing equipment, and colorful sculptures occupied space that might later be taken up by bar seating. In the process, Gilbert sold enough beer during the opening receptions to raise several thousand dollars for local nonprofits. Gilbert, who, like many fledgling brewery owners, started out as an enthusiastic homebrewer, explained that he has always seen a strong connection between beer and art — not in the sense that he sees his beer as a work of art, but just in the way that so many creative endeavors share similar kinds of processes and ways of working with materials. That's especially true for Gilbert, who favors a more experimental approach to brewing, though not necessarily in the novelty-seeking sense that's looked down upon by much of the craft beer world (such as beer flavored with chili peppers or seaweed). Instead, he'll take a style that he likes — say, the Dubbel, a Belgian brew known for its caramel-y flavor and high alcohol content — and he'll push that style's limits while still preserving its essential characteristics, in this case by ratcheting the alcohol content way down to create a drink that can be enjoyed several bottles at a time. The name of the brewery sums up Gilbert's approach: an effort to create something new, but still within the framework of what's traditionally considered tasty "normal" beer. Gilbert said that, beyond the fact that he enjoys chatting up artists about their creative processes, there's an even more obvious connection between beer and art: Both offer a great excuse to bring people together. The art openings he's hosted at the New Normal were perfect illustrations: When word spread that beer would be served, more people decided to show up. Ultimately, after the build-out is complete, the Telegraph Avenue space will function as a production brewery first and foremost, with the bulk of the square footage taken up by what Gilbert describes as a "massive jungle" of gleaming stainless steel pipes and tanks. There will be a tasting room in front, plus an adjacent outdoor beer garden. And even though the New Normal won't quite be a full-service restaurant, Gilbert said his background as a certified ciccerone (expert on pairing beer and food) means the taproom's food offerings should complement the beer in more thoughtful ways than usual. Although the New Normal's stint as a full-fledged gallery may have been short-lived, Gilbert said he intends to continue his collaboration with local artists. 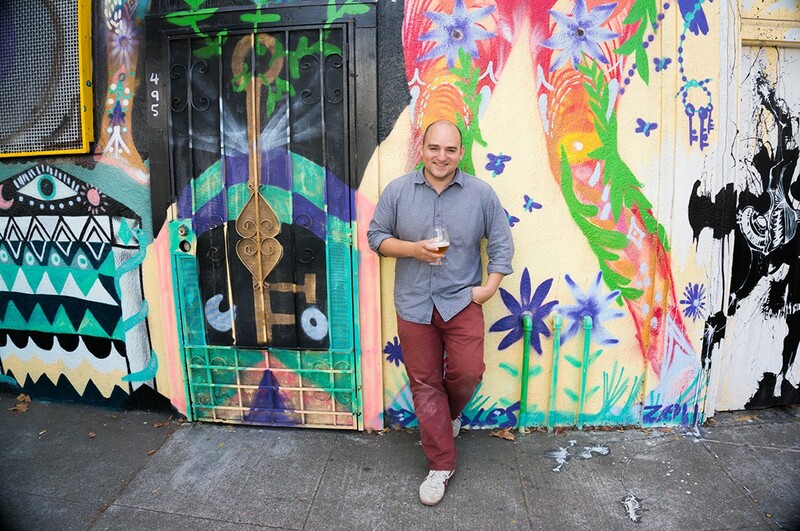 He noted that any brewery has an abundance of "wall space," both in terms of literal walls on which you can display artwork, as well as the various paraphernalia and swag that are associated with the company's brand name — bottle labels, tap handles, and so forth. "In my case, I want all of those surfaces to be places for artists to showcase their work," he said. If all goes well, Gilbert expects construction to begin in August, with an opening targeted for the end of the year. While gourmet food trucks are hardly a rarity in today's Bay Area food scene, it was starting to seem as though downtown Oakland's brief flowering of lunchtime "food pods" — a weekly convergence of three or four trucks, typically — had become a thing of a past, despite the convenience they offered to nearby office workers. But on Wednesday, July 15, one of those pods will mark its return: the Snow Park Food Pod. Three trucks — Doc's Classic (formerly known as Doc's of the Bay), Kenny's Heart and Soul, and Fist of Flour for the first week — will set up on the Harrison Street side of the park from 11 a.m. to 2 p.m., with a rotating lineup of trucks for every Wednesday thereafter. Doc's Classic owner Zak Silverman is organizing the pod, which had been defunct since last May. Silverman said he's starting it up again because he now has time to promote the event. The hope is that all three participating trucks will generate enough sales to make it worth their effort.